I've been an artist since I was a child. I never knew how not to do it. But being an artist is not the same as being a professional artist. This I embarked on around 2006 or 2007. I started to realize that it was my time to do what I had always wanted to do but didn't allow myself to really pursue. What's the difference between being an artist and being a professional artist? As an artist, you are creative and passionate about what you do. As a professional artist, you are creative and passionate about what you do—but you are also in the business of selling your art, for a living, in most cases. This may be oversimplifying, but you get the idea. There's money involved and that's when it gets serious for me. However, making real money for your art can be a 'tricky' business. The number one thing you should focus on is producing the best art that you can produce—whether it be porcelain dolls, illustrations, woodcarvings, or fine art oil paintings. Learn to do what you want to do to the best of your ability. This is an ongoing process with art. Good artists never stop learning, so I don't believe that you should wait until your art is perfect before you start selling it. For many artists, it's never going to be perfect. That is how they come back to the easel or the workbench every day to try again to get close. I do think there are buyers for art at every level of one's professional career as long as it is priced right. Pricing is a different topic, for a different day. But, if you choose to be a professional artist, there are buyers out there for everyone. Potential clients have to see it before they can buy it. I know many people who go through magazines and catalogs and say, "I paint better than that." Or, "My friend so-and-so can make better [insert type of art piece here] than that". Well, are you or so-and-so making sure that people get a chance to see your work like the people that are in those marketing materials? You have to spend money to make money. Spring for the advertising when you get accepted to a show. Run ads in magazines that you respect in your industry. Do a Facebook marketing campaign occasionally. Do something to get your work seen by potential buyers. Treat your business like a business. Art is my profession, it is my 9-5, and my bread and butter. I show up every day to do something related to my business. I paint. I photograph the work. I keep my inventory software up to date. I keep my financial software up to date. I keep my inventory stocked. I keep my materials stocked. I know how much art I need to be producing each month in order to keep supplying my galleries, and I keep detailed records of where all of my art is at any given time. Plenty of people try to run businesses in any field, but if they don't do these things, they fail very quickly. Just because you are an artist, it doesn't mean you are exempt from these rules. Get a personal assistant if you feel like you can't handle these things because somebody's gotta do it. 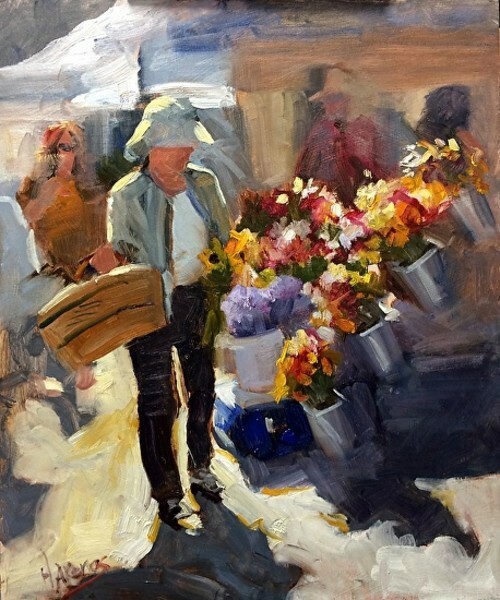 Here are the quick plugs for the vendors I use: Quickbooks for financial software; Artwork Archive for inventory, customer and show tracking; Fine Art Studio Online for my website; Meininger Art Materials for local supplies, Rosemary and Co for my brushes, Gamblin Colors for mediums and varnish; Winsor Newton for paint. I'll try other things occasionally but I keep coming back to these. Getting into galleries, getting accepted to shows, getting invited to invitationals—these things come after you do the first three tricks. The journey is different for everyone, so there are some things you may not care about. Things can also change for you on a daily basis and you have to readjust the plan. I know that if you are focusing on one through three, the rest will become more obvious and easier. Heather Arenas’ grandmothers were both artists and her parents provided her with various art supplies growing up, teaching her to appreciate many forms of art. Today, Heather works in oils and prefers figurative work but she enjoys painting many different subjects. Her education includes a rigorous course of independent study reading many books on drawing and painting and taking workshops from respected artists such as Vadim Zanginian, Kim English and Clayton Beck III. While earning a degree in biology with emphasis on anatomy in the early 1990's, she also studied art history and ceramics. 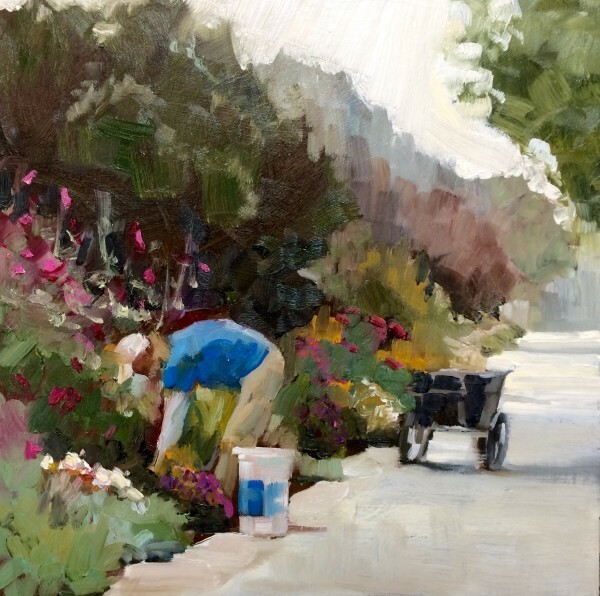 Heather is a signature member of the Plein Air Artists of Colorado, a master signature artist with Women Artists of the West, and an associate with several other art organizations. 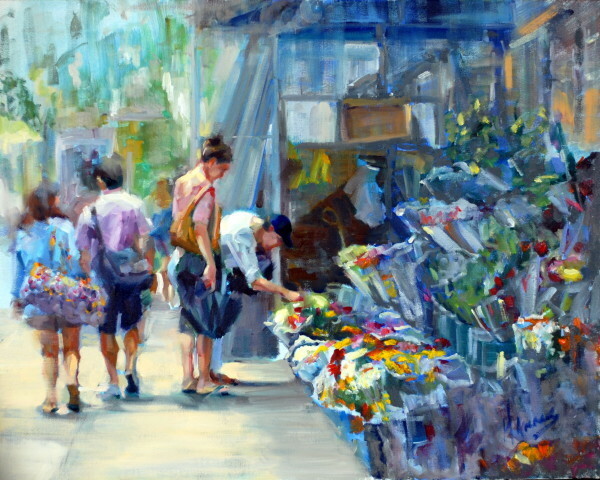 She has received numerous awards for her work which helps others see the beauty in everyday objects, places and people. Art business wisdom can be found even in the most unlikely places—like the Olympics. Do You Need to Copyright Your Artwork Online? Visibility has its downside. Learn how to protect your work from potential infringers.